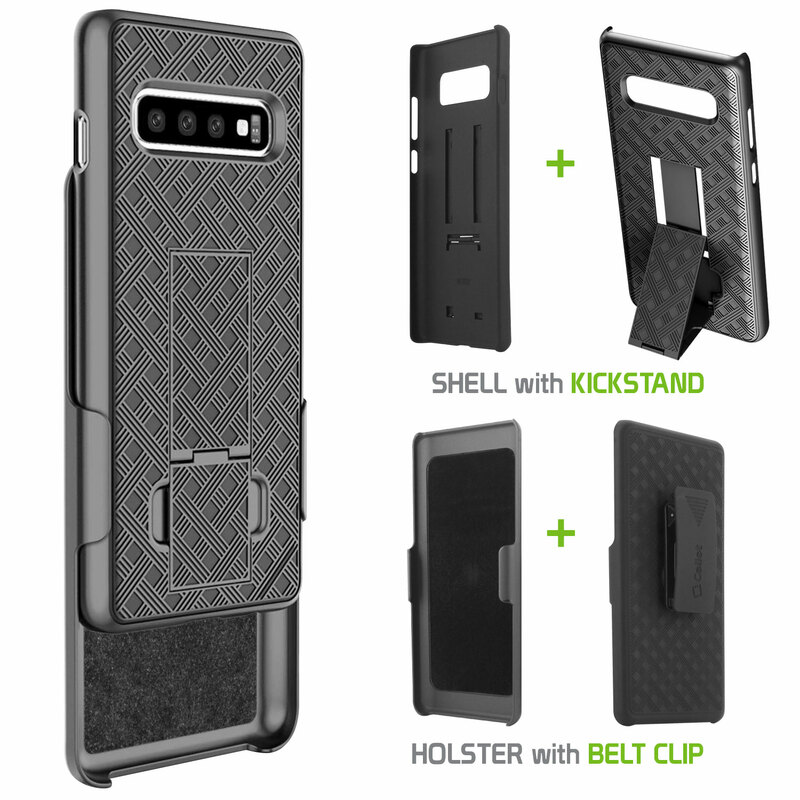 Protect your Samsung Galaxy S10 with our Platinum Collection premium quality case and holster combo. 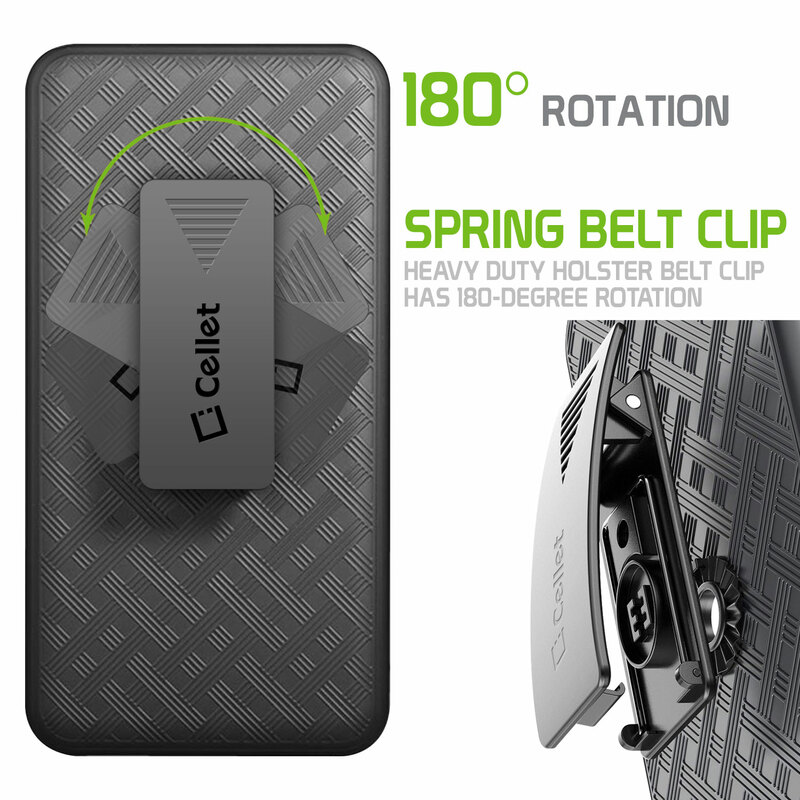 This all-in-one carrying solution features 180 degrees swivel holster which allows your Samsung Galaxy S10 to be worn on a waistband or belt. 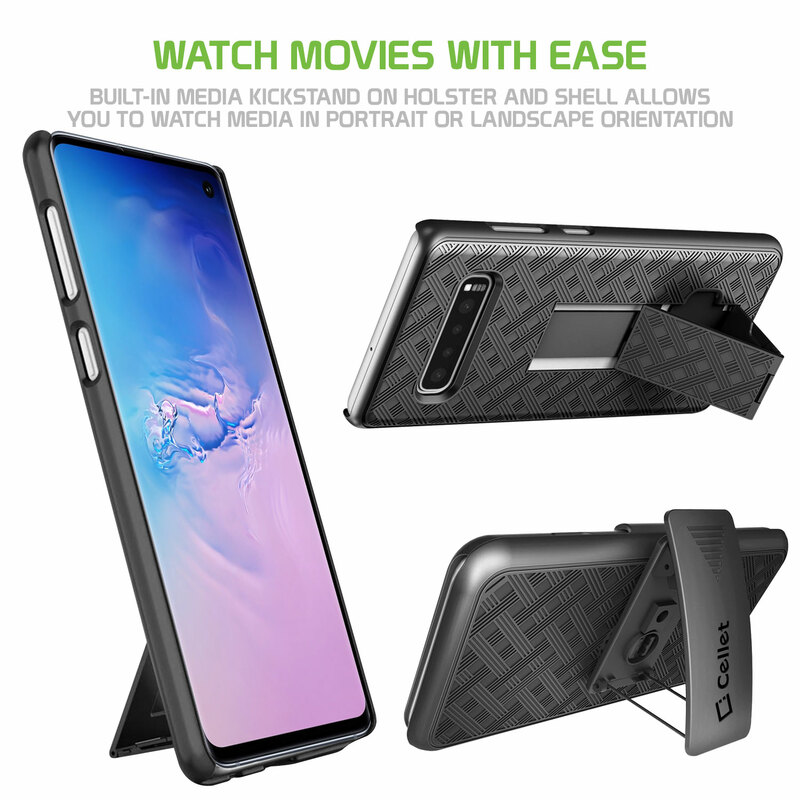 The belt clip also works as a kickstand for easy handsfree viewing . 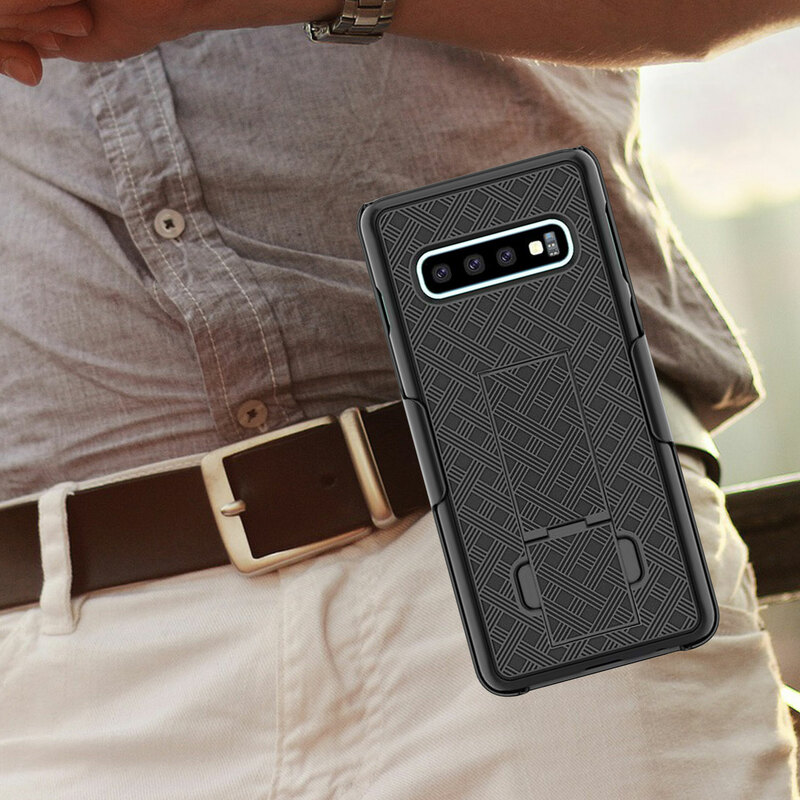 The hybrid case can be used with holster or as a separate, slim carrying protection. 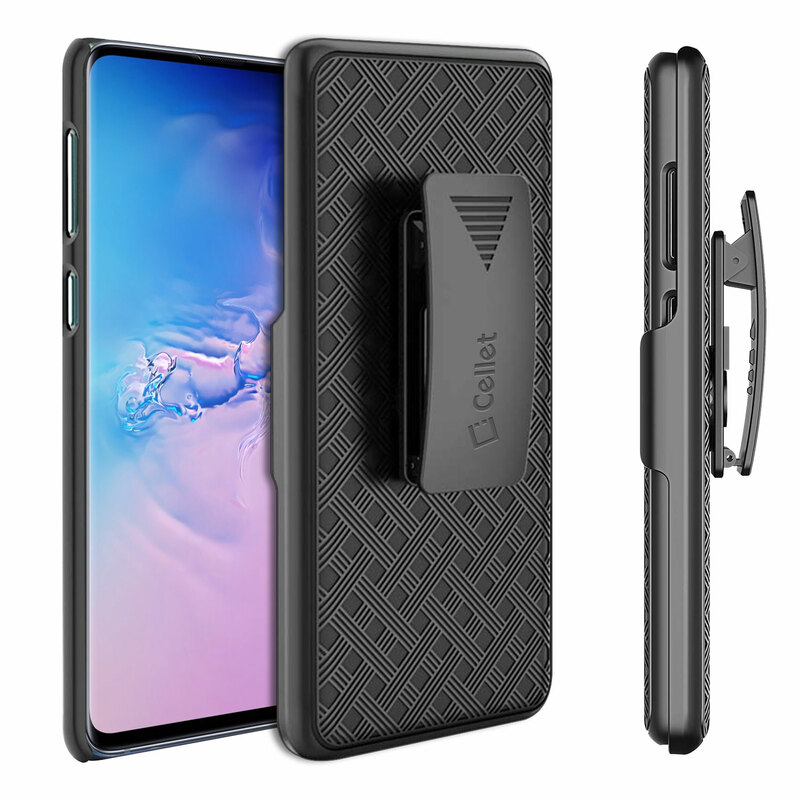 The hybrid case itself is made of high-quality silicone inner-layer skin and impact resistant hard rubber outer-shell, which provides double protection to your Samsung Galaxy S10.